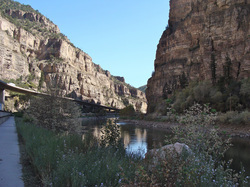 The Upper Colorado River Wild and Scenic Stakeholder Group was formed as an independent, collaborative group in 2007. Our intention is to balance permanent protection of the Outstandingly Remarkable Values, certainty for the stakeholders, water project yield, and flexibility for water users along the Upper Colorado River. 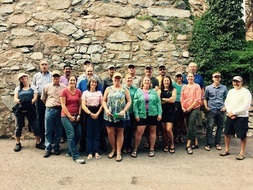 The Upper Colorado Wild & Scenic Stakeholder Group is made up of over 100 individuals representing more than 20 organizations across Colorado, all striving to protect the diverse interests along the Upper Colorado River. 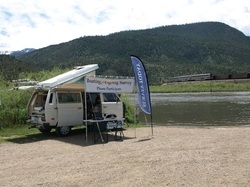 Active since 2007, the Upper Colorado Wild & Scenic Stakeholders have participated in the Bureau of Land Management's revision of the Resource Management Plan for both the Kremmling Field Office and the Colorado River Valley Field Office. The Stakeholder Group has achieved several notable milestones in our progress toward balancing permanent protection of the Outstandingly Remarkable Values along the Upper Colorado River, certainty for the stakeholders, water project yield, and flexibility for water users.